Being an American multinational mobile hail company, Uber is headquartered in San Francisco. The transportation company network operates Uber in the USA, who progresses, succeed and advertise the Uber mobile app. The main intention of mobile Uber app is that it helps customers with smartphones to direct a trip request which is then forwarded to Uber drivers who have their own cars. These services are available in 58 countries in about 300 cities worldwide. Let’s glimpse through a few aspects such as requirements for an Uber driver, process involved to become an Uber driver, become an Uber driver without a car, and profit Uber driver makes. One who desires to become a driver with Uber should satisfy age requirements. The driver should be 21 years of age. The driver should possess at least 3 years of driving experience. If the driver is new to the state, then his driver history will be verified. Out of state license must be maintained as they may be asked for verification. To become a uber driver, the driver needs to have in-state car insurance in the driver’s name. An in-state car registration is also required and not necessarily the car drivers name. The driver requires an in-state driver license. The driver should also possess an in-state social security number which may be required for background checks. Since background checks will be performed for drivers, they need to have a clear driving record and also need to pass the background check. Hirease is the one who performs background checks and would make clear reports that the driver has no drug-related offenses, has not made any fatal accidents, has not been into issues because of driving without insurance or license, does not have any record for uncontrolled driving, and has no criminal history. To become Uber driver, the driver must have a vehicle which meets the Uber car requirements. The main Uber car requirements are that the car must be a 4 door sedan and a 4 seated excluding the driver. The version of the car must be of 2000 or an updated version. The number plates of the car should be ones that belong to the state. The vehicle must not be a salvaged one, marked as taxi and more. The car must be a recently registered one and not necessary for the name of the driver in the registration. To become a driver with Uber, the driver should possess an iPhone 4S or the latest version or Android 2013 or the driver can rent a phone from Uber. The vehicle possessed by the driver should pass a mechanical test conducted by Uber in order to use the same for driving. Uber-approved auto shop in your area will inspect the vehicle. The cost of the examination will be about $20 and would check the mechanical and safety features of the car which includes lights, brakes, seat belts, and tires. In order to drive a uber taxi, the driver should be of age 21. The driver should have passed back ground checks and paid application fees. The driver should also get finger printed. To become a bus driver the minimum age qualification is about 22 years of age and the driver must also have undergone a three week training program. The important factor is that the driver must have passed background checks. A heavy truck driver with Uber must possess a commercial license with a minimum age of 21 years. The driver must have passed physical test and must have undergone a 4-6 months truck driving course. The driver is to use long haul routes and take goods across the country. To become a courier or messenger with Uber the driver should have the capability to lift at least 75 pounds. The driver must have completed high school diploma. They are required to carry documents as well as packages by driving or bicycling. The driver should be able to walk, navigate stairs and also ride bike along distances. A delivery truck driver is responsible for picking up and delivering small packages in and around the cities. These type of vehicles weights about 26000 lbs. or less. To become a delivery truck driver, the driver must have passed physical test, should possess the capability to operate manual transmission. The driver should also possess a commercial license. Uber black driver requirements are insurance, registration, and commercial licensing. For Uber black service, luxury vehicle is mandatory. There are more rules and regulations for an Uber black driver than an Uber driver. To become an Uber black service driver, the driver requires a TCP, a commercial license, and also airport permit in many cities. The main aspect of Uber black service drivers is that fares are higher when compared with Uber x fares. For example when Los Angeles is taken into account Uber black fare is calculated as$3.55 per mile. Few Uber black car types are traditional black luxury Sedan service, Uber SUV version with 6 or more members, and the high end version called Uber LUX. Some approved vehicles are Audi, BMW, Jaguar, Mercedes-Benz, Lexus, Infiniti and more. In order to get into Uber driver process, the driver needs to check the site https://www.uber.com/cities to know if Uber supports the city. According to 2015 of June Uber is being operated in about 58 countries and still enhancing more. https://get.uber.com/drive/, for uber registration the mentioned website is to be visited by the driver in order to develop an account. Look for the sign-up field on the right-hand side of the page. Once found, the name, password, phone number, and city are to be filled. If you are referred by a friend who is also an Uber driver then mention his Uber code so that he receives a bonus. In the form, select the vehicle that you desire to drive, scroll the page down and get to the bottom and click on “drive” to get to the sign-up page. Another way to get to the sign-up page is by clicking on getting more details button which is found in the drive with Uber section. All details about the vehicle the year designed, doors present, along with registration and insurance details are filled in the sign-up page. Read and click the check boxes wherever necessary. Uber can gain access to your legal records by providing your social security number. They check out your vehicle registration, driving records, criminal records, credit records, drug test records, educational records, medical records, past employers, property ownership records and more. They “send a download link” button will get you a link on your iPhone or an Android. It is important to verify that your iPhone is 4S or newer and Android is 2013 or the latest one. When the button is hit, a download link with the version that is appropriate for your mobile is sent. Then you need to get to the “document upload portion” of the app. For ones who do not have a smartphone can rent a smartphone from Uber for $10/week with a onetime security deposit of $200. The security deposit will be returned when you return the smartphone to Uber. It is now the next step to upload clear documents of vehicle registration, driver license, vehicle insurance and also the vehicle inspection form. The applicant also requires filling the expiration date of insurance, registration, and license. In order to upload the documents, the applicant requires to click on the “choose file” and navigate to blue camera icon in order to browse the files on the computer. Click on save and continue once all files are uploaded. Once all the uploading of documents is done, you will receive a welcome video. The welcome video is one which explains you the next few steps involved in the onboarding process. Once the background test is passed, a representative from Uber will guide you through the process to become a driver. The process may take about six weeks or more depending on the area you reside in. Since you have the app downloaded, an email would be sent to initiate driving. 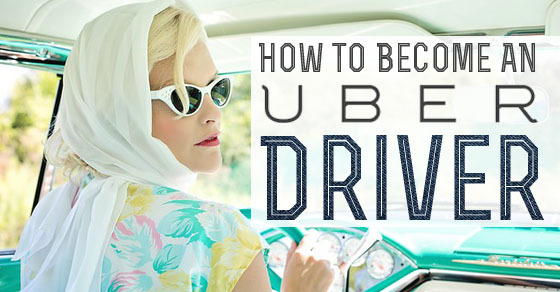 For drivers who desire to become an Uber driver without a car can rent a car or borrow a car. There are many services that offer cars for rent for Uber drivers. Some examples to rent a car are mentioned below. One who desire to become an Uber driver but do not own a car can rent another Uber driver-approved car for a certain period of time. The main advantage of this mode is that the car is already registered with Uber and also the owner of the car mentions you in the insurance policy. There are a number of ads that are posted on craigslist online. When your name is mentioned in the Uber insurance policy you can drive the car as long as you desire without hassles. Craigslist, hyrecar.com, breeze and lot more websites can help drivers to get a car for driving. For ones who don’t have a car can also go for financing option where Uber offers vehicle financing program through which drivers can obtain a Uber-approved car. Financing with Uber has much higher monthly installments. The payment for your cars would be automatically reduced from your Uber earnings. Being an Uber driver is comfortable as they can opt to work either part time, full time or for certain hours of the day. When considering Uber, the average Uber salary is mentioned as $90,000 per year. This figure takes into account the fuel, toll fees, driver expenses, maintenance of the car and more. This is the estimated amount for drivers in the United States and varies in other states. When United States is considered, the main cities such as New York, Los Angeles helps Uber drivers earn about $25 to $35 per hour. It is good to earn a perfect amount being an Uber driver. Working for 10 to 12 hours a day can fetch a good amount for Uber drivers. The average earnings per hour also depend upon the mode of transport they drive for. For example taxi, chauffeur and Limo drivers would earn about $10.97 per hour, Uber bus drivers would earn about $14.21 per hour, heavy truck drivers would receive about $18.37 per hour, delivery truck drivers would obtain about $13.23 per hour, and courier messenger services driver would gain about $13.35 per hour. Being an Uber driver is just the best way to earn money in a hassle freeway. The driver just needs to get through the webpage and prepare all the documents and requirements. The car should be an Uber-approved one, for ones who do not have a car, can also rent or lease a car as desired by Uber. The above-mentioned steps are simple and easy and anyone who wishes to drive part time can run through the points. The uber salary for a driver varies according to their location. Get registered and also, read the details in order to become an Uber driver without any difficulty. The smartphone is essential which helps you reach places and make your trip smooth and hassle free. These are a few rules, regulations and policies that need to be followed in order to become a driver with Uber and earn money. There are a number of reference sites that help any individual to get through the process with Uber.